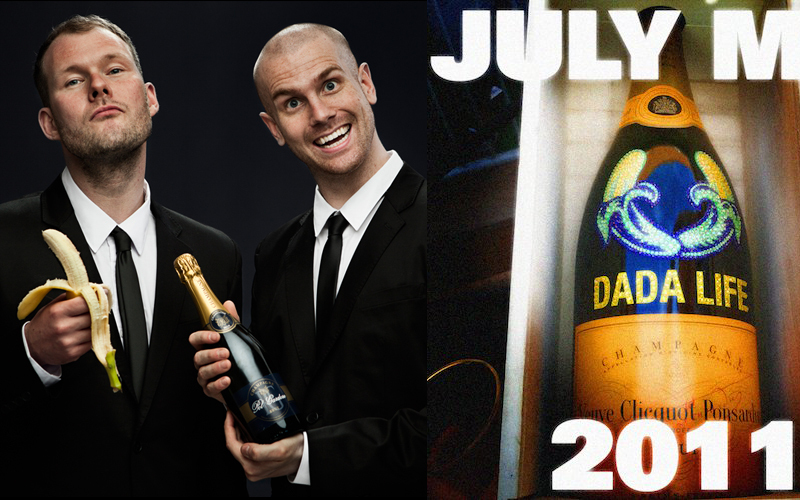 Get ready for 40 minutes of pure beastly electro from Dada Life! I haven't posted a mix in a while but I feel like Dada Life has put together a massive one! These guys and their bananas always crack me up. Ten Seconds for Sunrise is my fav eletronic/trance music. I'm a big fan of Tiesto too (mostly his older stuff. Newer tiesto is too popish for me) but Dada Life just does a different style of electronic really. yeah, i think his best albúm is the first one, but Kaleidoscope is good too. i love high beat musics, like ten seconds for sunrise and Astrix - Take a Shot i think, im not about the name. Epic set dude, sounds sweeet! The concert looked awesome haha. I love these kinds of house music. And the look his face while holding a banana just put a smile on my face. the concert would be fun! that is pretty awesome. enjoying this new music. I do not even need weed to enjoy this!! Dada Life looks like they bring the heat live. I've come back to this page like 3 different times to listen to this lol. I guess I should just dl it. looks like an enjoyable live show! you should go to their show and review it for us! Very hard!!!! i love dada life!!! !